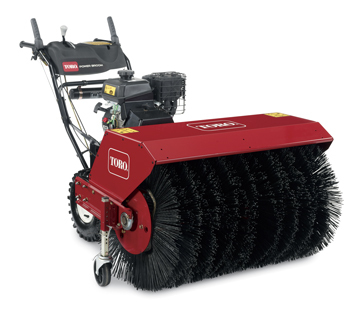 $0 down and no payments for 3 months on Toro Rotary Brooms! 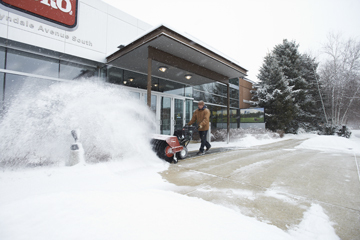 Toro's new 36 inch walk behind power broom is a machine that can be used year round. 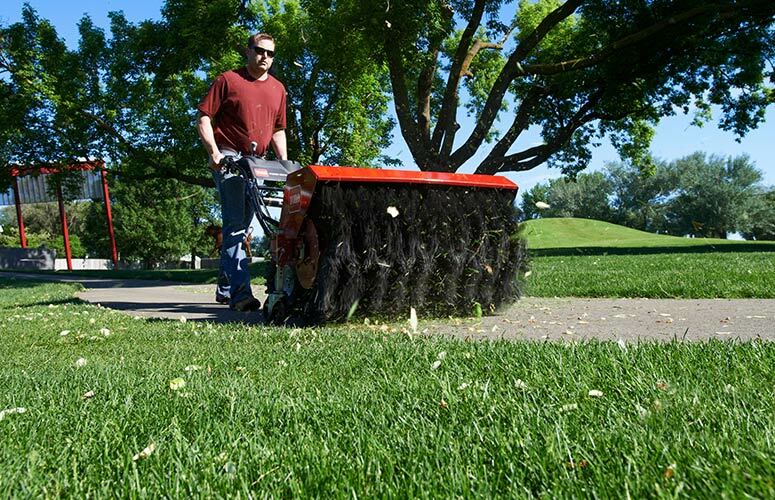 This is a great tool for removing snow in the winter and cleaning up debris and dethatching lawns during the warmer months. This rotary broom has six forward and two reverse speeds allowing the operator to work efficiently at the right pace. The power steering allows the broom to turn on a dime and the independent control levers enable the operator to stop and start the brush while they are driving. The broom also angles side to side to push debris and snow out of the way.